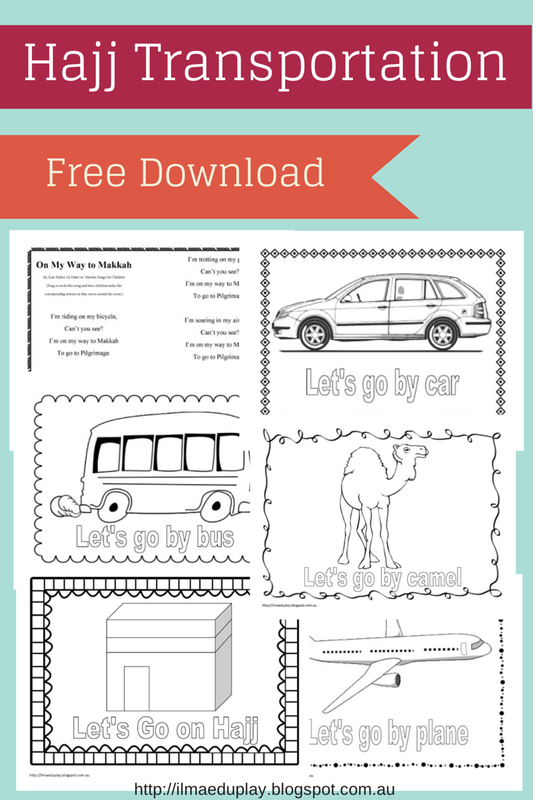 Learn the different types of transportation with Fatimah and Hamzah as they find ways to go to the Ka'bah. Going to Hajj was originally a board book. 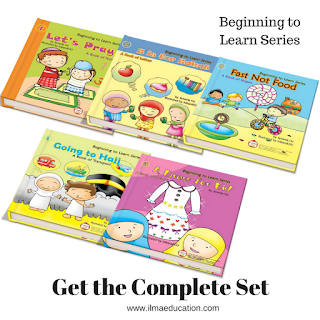 It was book number 4 of 5 books from the Beginning to Learn Series. It was printed in 2008 but have since ran out of stock. But you can still get it in the kindle format now. This particular book, Going to Hajj, teaches children about the different types of transportation that are particular to going to hajj. As you can see from the pages below, each page has a large clear picture of a tranportation and Hamzah or Fatimah saying what it is. 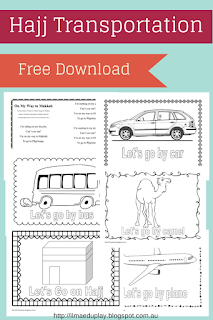 To complement this Going to Hajj book and help your child with learning about transportation, I have created this printable transportation activity book for you to download. 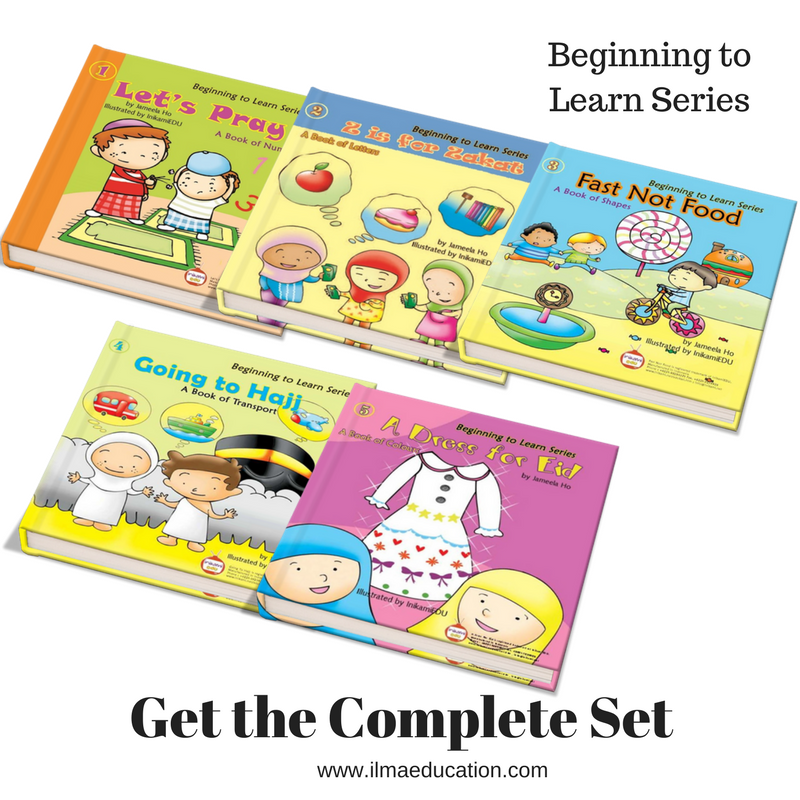 You can get your copy of the Going to Hajj Kindle book at my affiliate link below or you can get the complete set of Beginning to Learn Series on PDF here.